Ritual and Rites aims to explore new perspectives on how supernatural powers, part of the mythologies and folklore, of multiple cultures and cosmogonies, can be used today as a tool to examine “human nature” cross-cultural contexts as well as investigating the societal, evolutionary and psychological significance of ritual and rites process and form with regard to understanding what constitutes ‘human nature’ today. Artcore invites artists to examine the key categories of magico-religious belief and practice used by anthropologists (including myth, ritual, witchcraft and shamanism), as well as surveying theories regarding the continued importance of ritual and rites in a contemporary, globalised world with regard to topics such identity, shamanism, new magic and folklore. The exhibition is seeking to encourage originality and to challenge the norms with regard to the way we approach this topic as well as engaging critically with the way that we think about contemporary rituals and cultural difference, and to reflect on the kinds of cultural biases that we all employ when thinking about social, cultural or ethnic groups different to our own. 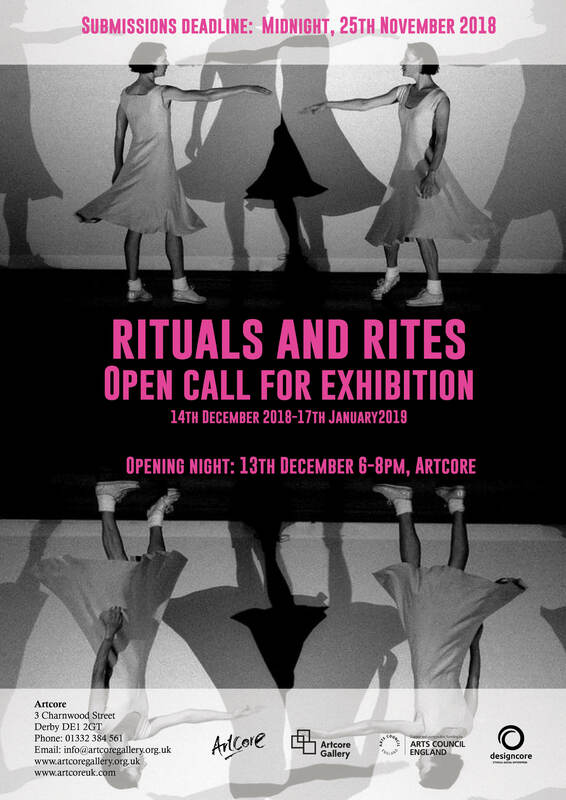 We are looking for artists to exhibit innovative and critically informed works to be part of Ritual and Rites exhibition, which will be held in Artcore gallery. Original works varying from painting, sculpture, collage, prints, mixed media, textile, performance and photography are welcome.